Difference between revisions of "Brian Moriarty"
* The Dig, LucasArts Entertainment Company LLC, 1995. * Loadstar: The Legend of Tully Bodine, BMG Interactive Entertainment, 1995. * ''[[Loom]]'' (publisher: [[Lucasfilm Games]]; 1990). Graphic adventure game. * [http://en.wikipedia.org/wiki/Brian_Moriarty Brian Moriarty] at Wikipedia. * [http://www.ludix.com/moriarty/ Lectures and Presentations] by Moriarty from his home page. 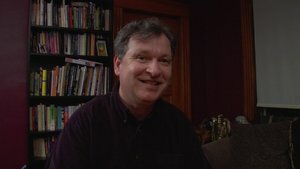 * [http://brasslantern.org/community/interviews/moriarty.html Interview with Brian moriarty] for the Brass Lantern.